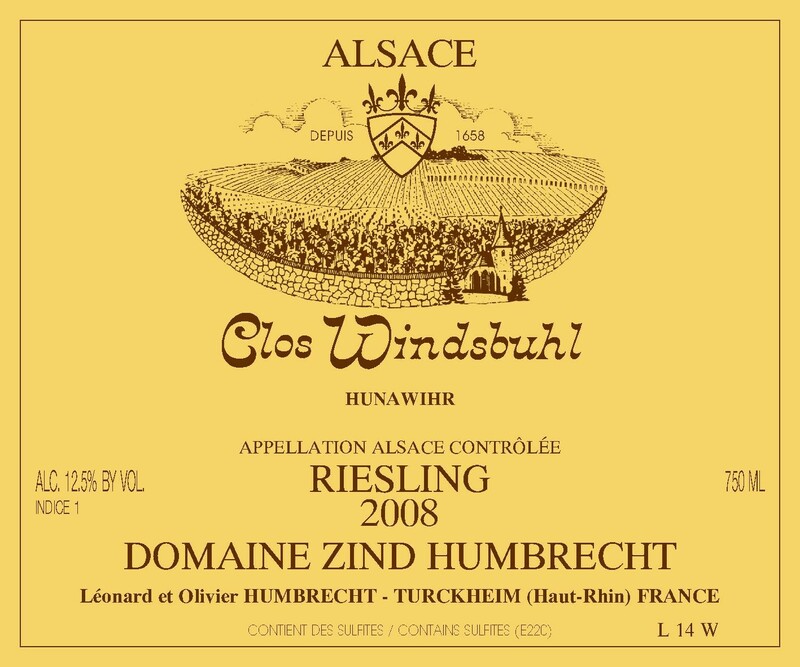 The Clos Windsbuhl enjoys late ripening climatic conditions, enhanced by the fact that it is located on a rocky calcareous soil at higher altitude near the neighbouring forest. Despite the south to east steep facing, it took until the middle of October to perfectly ripen these healthy grapes. Windsbuhl has this unique capacity to keep the grapes beautifully healthy until quite late, doesn’t lose its acidity through long maturation, allowing the soil character to fully develop into the wine. The 2008 had a very similar structure than the 2007, but fermentation was much slower, probably due to a higher acidity, and the wine kept a hard to notice slightly higher sweetness. Just like Rangen, this wine was never racked and spent 18 months on its fermenting lees. 2/2010: the nose shows racy minerals and citrus fruit; I know that minerals do not smell, but there is an obvious sense of rocks and soil in this wine. Even the ripe acidity is noticeable on the nose! The palate is delicate, long and intense, showing great ripe acidity on the finish. The small residual sweetness is already digested by the wine. This is for long ageing, please wait!